Prisoners’ Education Trust (PET) is the only charity working across England and Wales to support people in prison to achieve their potential through learning. PET provides distance learning courses, arts and hobby materials, advice and support in subjects and levels not available in prisons. Since our foundation in 1989 we have helped over 28,000 men and women in prison. Find out more about PET and our history. 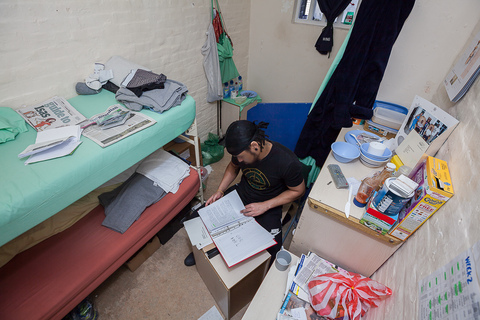 We provide advice and funding to around 2,000 prisoners each year to help them study courses in subjects and at levels not otherwise available. PET also carries out research, informed by learners, to improve prison education. Our vision is that every prisoner should have the opportunity to benefit from education, and for that to happen, government policies must support learners and teachers. Our Resource Library also includes relevant research and studies carried out by the government, universities, charities and other organisations. Education gives people in prison the opportunity to choose and achieve crime-free lives. We therefore believe it is essential to champion prison education and inform the public, parliament and the media about the benefits of rehabilitation through learning. We want to empower prisoners and people with convictions to tell their stories and share their experiences. Find out more about how we do this in our Learner Voice section, find out about some of the people we’ve helped by reading their stories and see for yourself by visiting our film gallery. We are not the only organisation that understands just how transformative learning is for people in prison and in 2012 PET brought together expert charities, research bodies, universities and businesses to launch the Prisoner Learning Alliance, which now has 21 members.